Summary： Economic growth is a core issue of economic research. The debate about the roots of economic growth has evolved with the development of economics. Early studies focused on factors of production, stressing the role of the accumulation of human and physical capital in growth. Since the beginning of the 21st century, economists have emphasized the importance of formal institutions as argued by Acemoglu et al. (2001) and Rodrik et al. (2004). Recently, the focus has shifted to the role of informal institutions, which are deeper rooted in society and embedded in the culture and history of a country. This strand of the literature includes Barro & McCleary (2003), Campante & Drott (2015), Nunn (2009), and Spolaore & Wacziarg (2013). Trust, the core of informal institutions, has received attention from Durlauf & Fafchamps (2005), Dearmon & Grier (2009), and Capie (2016). In this paper, we introduce the trust model proposed by Bloom et al. (2012) into the incomplete contracts framework to construct an endogenous growth model with social trust, incomplete contracts, and technological innovation. This allows us to discuss the impact of social trust on the economic growth of a country or region from the perspective of incomplete contracts. The model suggests that in an economy with incomplete contracts, increasing social trust promotes long-run growth. Increased contract intensity strengthens the positive effect of social trust on growth. This finding shows that social trust both promotes economic growth and influences the characteristics of the industrial composition of economic growth through the contract intensity of industries. Based on the theoretical research, we use an interaction econometric model with data from 27 industries in 31 Chinese provinces from 2000 to 2010 to test two main predictions of the model. We use two historical variables, the number of registered students in Christian Lower Primary Schools at the beginning of the 20th century and the density of the provincial road network in 1937, to effectively control for the endogeneity problem of social trust. The empirical results show that social trust is an important determinant of economic growth in China's provinces and that the positive effect of social trust on economic growth increases with the industrial contract intensity. This conclusion is robust after controlling for variables such as foreign direct investment and specialization and for other transmission channels of social trust. While this finding provides a new perspective for understanding the relationship between social trust and economic growth, it also suggests that the high level of social trust explains the long-term growth of China's economy and that differences in regional social trust have explanatory power for the huge regional development gaps in China. We have several additional findings. First, after controlling for social trust, contract enforcement no longer has a significant positive effect on economic growth. This implies that the relationship between social trust and economic growth is not affected by contract implementation and that social trust supports economic growth by allowing for relational transactions involving incomplete contracts. Second, the main channel through which social trust affects China's economic growth is the reduction in transaction costs and the promotion of market trades and not the amplification of the effect of human capital on economic growth, the easing of credit constraints or the decrease in financing dependence. This finding differs from those of Akomak & Weel (2009) & Dearmon and Grier (2009) and provides a new view for understanding the relationship between social trust and China's economic growth. Finally, the effect of social trust on industry growth rates in China's coastal provinces is almost the same as it is in interior provinces, which shows that the reason for the economic development gap between China's coastal and interior areas lies in the differences in social trust between the provinces of these areas. These findings suggest that social trust is an important determinant of economic growth, that the continuous increase in social trust has become an engine of China's rapid economic growth and that the huge differences in social trust in different Chinese provinces is an important factor explaining unbalanced development in China. The Chinese government should promote better levels of regional social trust and improve the contract intensity of industries to give full play to the positive effect of social trust on long-term growth. Summary： Serious environmental pollution has become a major problem in China. However, the traditional governance mode reflects obvious administrative intervention and uncertainty and the environmental pollution situation in China has not been fundamentally reversed. To promote the construction of a normalization mechanism for environmental governance, it is important to improve the legalization of environmental pollution control, which has become an important direction of China's environmental governance reform in recent years. The rule of laws in environmental governance consists of two levels, the construction of laws and the building of judicial capacity. Since the promulgation of the Environmental Protection Law in 1989, China's environmental laws have gradually improved. However, China has been slow to build judicial capacity. The importance of environmental justice for pollution control both is reflected in its own pollution control role and, more importantly, provides a strong basis for environmental administrative punishments. This helps to provide clear definitions of property rights for emissions trading. To improve the efficiency of environmental justice, China started to develop its environmental court system at the beginning of the 21st century. In 2007, the first true environmental court was formally established in the Guiyang Intermediate People's Court. The pilot has expanded and become a key force in promoting the rule of law in environmental pollution control in China. This paper empirically evaluates the pollution control effect of environmental courts using the difference-in-differences method. First, we examine the impact of environmental courts on regional industrial pollutants emission reductions by matching the industrial waste water and industrial SO2 emissions data of prefecture-level cities. Then, using public data from referee documents and the annual work reports of the courts, we examine the role of environmental courts in the efficiency of the judicial treatment of environmental pollution disputes across regions and analyze the mechanisms that promote judicial efficiency through placebo testing and other policy interventions. Finally, we analyze how the effect of environmental courts on pollution control depends on regional characteristics. We have three findings. First, the establishment of environmental courts effectively reduces the total discharge of industrial pollutants and per capital emissions in the pilot areas, especially for industrial waste water, meaning that the courts have a certain dynamic governance effect on industrial pollution. Second, the court's effect is affected by the organizational efficiency of the court and the implementation of the system. Compared with a collegiate bench, the effectiveness of a trial court's emission reduction is more obvious. Environmental courts that are running well promote environmental pollution control. Third, environmental courts improve both the level of pollution in a region and government environmental regulations, whose control effect has obvious heterogeneities across regions. In areas where public participation in the environment, measured as residents' involvement in judicial proceedings and government environmental supervision, is higher, environmental courts have more significant pollution control effects. The environmental justice specialization reform represented by the environmental court promotes the improvement of the judicial treatment of environmental disputes. Moreover, strengthening the environmental rule of law improves local governments' pollution control efforts and public environmental participation. This paper has two main contributions. First, we identify the impact of China's environmental courts and assess their environmental pollution control effect. Second, we provide a reference for understanding the dynamic effects of pollution control and the heterogeneous effects of environmental courts across regions to promote the formation of a comprehensive pollution control legal system in China. Summary：China's growth is slowing down and its structural and environmental problems are worsening. The traditional growth model is not sustainable as it comes at too high a cost of natural resources and the environment; economic structural adjustments and industry upgrading is urgently needed. Achieving long-term sustainable and high-quality growth is the new task. Financial institutions have a large impact on the real economy through the allocation of financial resources, so green finance is important for sustainable growth. However, the current situation in China is that banks care little about the environment and a large amount of financial resources are allocated to heavy industries. The basic issue in green finance is the environmental responsibility of financial institutions. Should China's financial institutions be environmentally responsible? Our research answers these questions. Studies of green finance, environmental responsibility and sustainable growth are many, but few researchers have considered the issue of the environmental responsibility of financial institutions using sustainable growth theory. As we show, many studies of the relationship between environmental pollution and economic growth show that industrial development and technological progress are the two most important factors. Pollution in China is related to its unsound industrial structure and the misallocation of financial resources, which promotes excess capacity and hinders the adjustment of China's industrial structure. From the perspective of sustainable finance, financial institutions, because of their resource allocation role, should be responsible for the environment and sustainable growth. How can one prove that financial institutions influence sustainable growth? There is barely any research on this question. As growth quality becomes even more important than speed in China, the answer lies in the relationship between China's financial allocation of resources and the environmental cost of growth. In this study, we argue that because financial institutions have the power to influence the environmental cost of growth, they must be environmentally responsible. First, the financial resource allocation between polluting and non-polluting industries in China is investigated using listed company data following the work of Dong et al. (2019) and Wen & Liu (2019). We construct the marginal contribution using a more convincing industry classification based on industrial level waste discharge data. 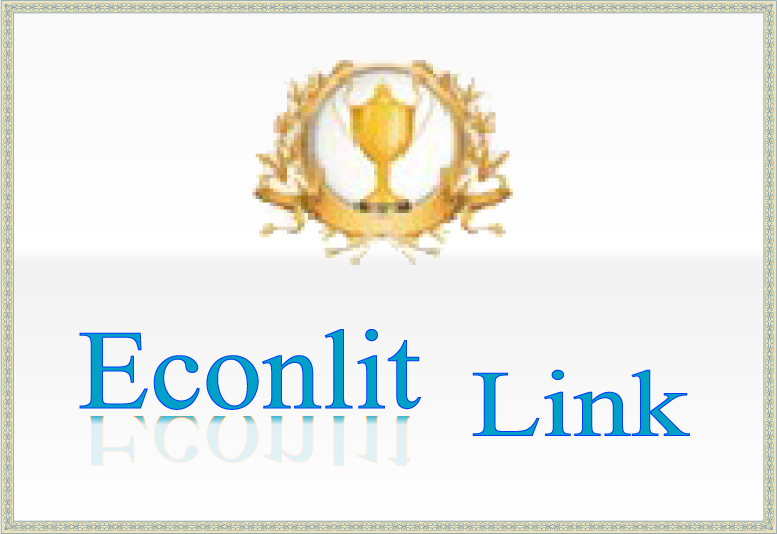 This allows us to analyze the causes of the allocation of financial resources. Based on the facts of financial resource allocation, we build an endogenous growth model with finance and an environment sector. This model differs from current models in that it explains how credit preferences can change the environmental cost of economic growth (pollution per GDP). When markets are perfect and information is symmetric, competition leads the financial resource allocation to the optimal level where long-term sustainable growth is possible thanks to technological progress. However, credit preferences for heavy sectors, which are caused by collateral preferences, harm the growth path and force people to choose between consumption and the environment. Although the pollution level in steady state is not necessarily higher due to environmental preferences in the utility function, the environmental cost of growth is always larger. To give empirical evidence, panel data analysis is performed on data from 30 Chinese provinces from 2005 to 2015. The empirical results support our theory and lead us to the conclusion that financial institutions should bear environmental responsibility due to their influence on the environmental cost of growth. By using a sustainable growth model to study the environmental responsibility of financial institutions, we contribute to the literatures on green finance and the environmental responsibility of companies. We argue that accounting for environmental responsibility and environmental risks is not only good for growth but also good for the long-term development of banks. Making better environment risk management decisions and paying more attention to long-term sustainability is more important now than ever before for financial institutions in China.